Runderwear claim their products are moisture-wicking, breathable and completely chafe-free. They stock men’s boxers and briefs and women’s briefs, hipsters, g-strings and crop tops. I tested out the women’s low-rise hipster and crop top and Sim tested the men’s boxers. 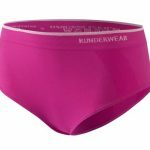 With some big races coming up and some long training sessions planned we were keen to see how our new undies performed. I have always struggled to find running bras that are supportive enough for hard running yet gentle on my body. 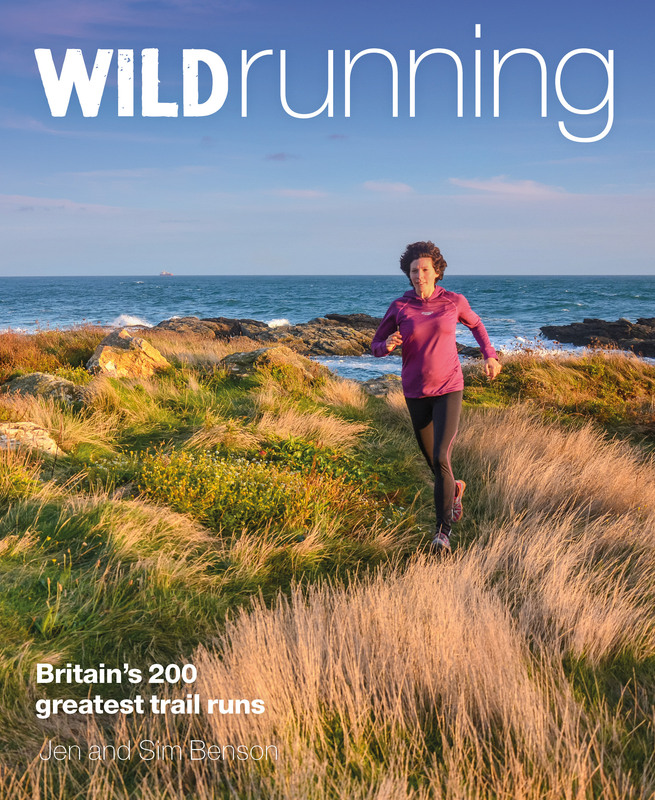 I’m fed up with my worst running injuries being the holes my bra’s rubbed in my skin, and I’m absolutely ready for a different approach. First off, Runderwear is definitely comfortable. It’s made from a circular-knit fabric with flatlock seams, so there are no annoying lumps and bumps. The polyamide and elastane mix is soft, stretchy and conforming, giving you an all-over nice level of support, without being overly compressive or flattening. The crop top lacks the structured support of many bras designed for ‘high impact’ sports like running, however to my surprise this didn’t result in any discomfort. The all-over stretch and support means the fabric moves with your body, reducing movement to a comfortable level rather than strapping it all down – the same was reported of the boxers. Nice, wide elasticated waist and chest bands ensure there’s no digging in. 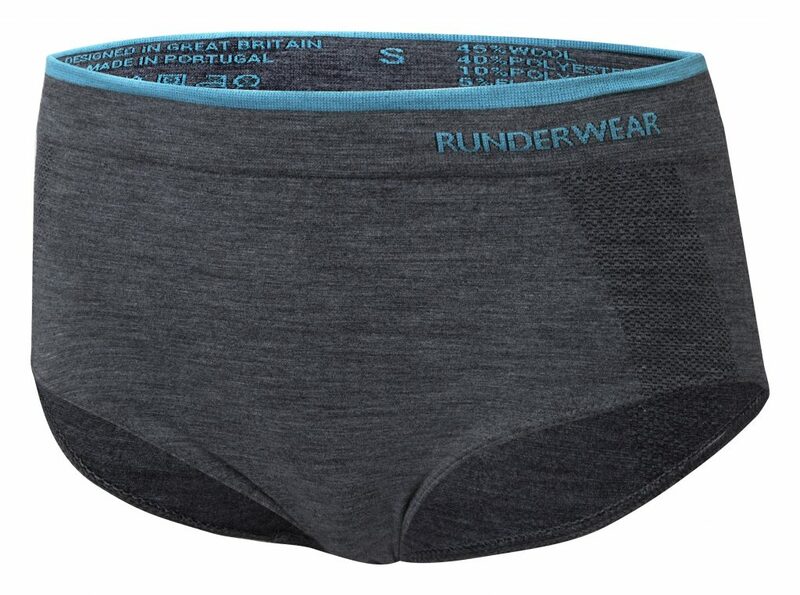 Cleverly, Runderwear is designed to work underneath running kit. 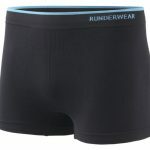 The boxers are shorter in the leg than normal meaning they sit brilliantly under a pair of run shorts. Similarly the seamless construction means the bra is super-comfortable under a pack. The fabric is breathable, dries quickly and has kept its shape even after several washes. After multiple training runs of 3+ hours and a 11+ hours of ultramarathoning each, our Runderwear is still just as comfortable. And we’re delighted to report that, as promised, there isn’t a chafe in sight. **Since our original test we were delighted to discover Runderwear have brought out an ethically-sourced Merino brief. There’s a men’s and women’s option, both made from a 45% Merino wool, 40% polyester Thermocool, 10% polyamide and 5% elastane mix. Like their fully-synthetic counterparts they’re barely-there comfortable, with a seamless, chafe-free construction and anatomical fit. The wool gives them a soft, natural breathability, but still with the wicking and stretch of the original Runderwear. Lovely! They’re £25 and available direct from Runderwear.